These offers are free with the purchase of the Cosmic Melody Lady SS 26" (2016) Bicycle. 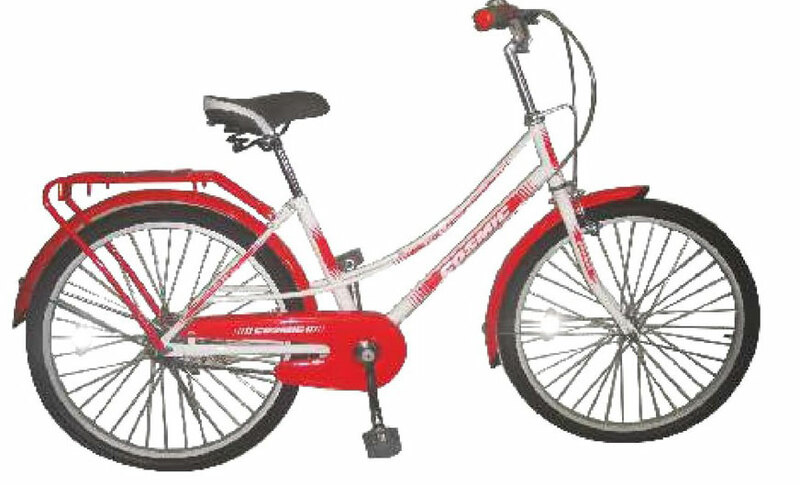 Cosmic Bicycles is an Indian manufacturer of Bicycles and is a subsidiary of Nandi Marketing. Cosmic Bicycles use precise engineering and quality standards to create bicycles, which will help any rider, achieve their goals with ease. The Cosmic Melody Lady 26 (2016) comes with a low step-through frame, a wide and cushioned saddle with a stylish in-built carrier and 26’’ tires. The Price of the Cosmic Melody Lady SS 26" (2016) is Rs.9000. The Melody Lady 26 (2016) is best suited for any women who is of height 5’ feet and above. This bicycle is ideal for riding around city streets and short urban commutes. 2. In what condition will I get the Cosmic Melody Lady SS 26" (2016)? 6. How will I know if Cosmic Melody Lady SS 26" (2016) will fit me without riding it? 7. How long will it take for me to receive the Cosmic Melody Lady SS 26" (2016)?